Some of you may know that people are not the only members of TDI’s workforce. 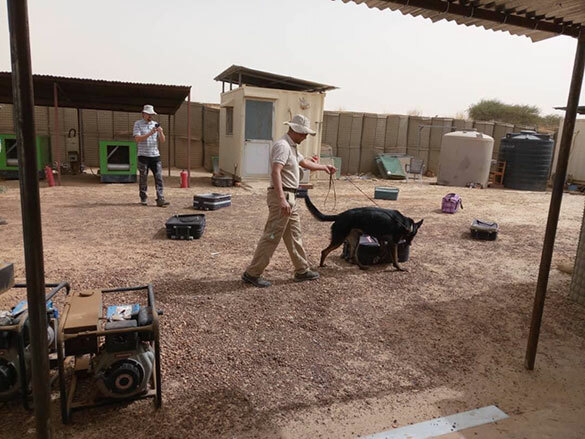 While our personnel are navigating through unpredictable areas contaminated with explosive devices, our dogs are also contributing to the clearance efforts in their own way. 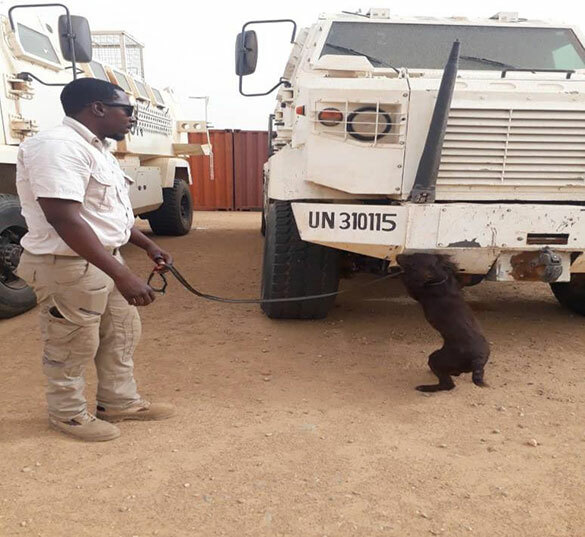 These canine heroes have served TDI for over twelve years. They continue to thwart the threat of explosive devices by warning their handlers of the presence of these weapons. 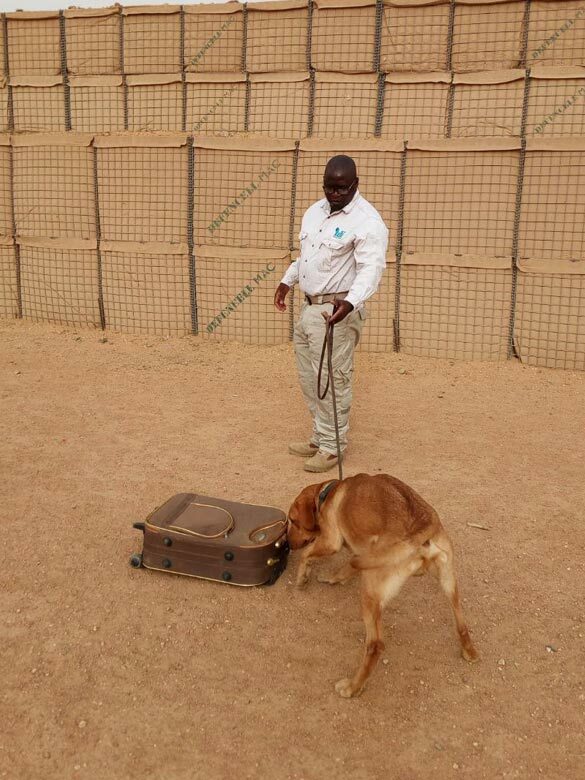 TDI utilises the versatility of dogs as an additional tool for large demining activities. 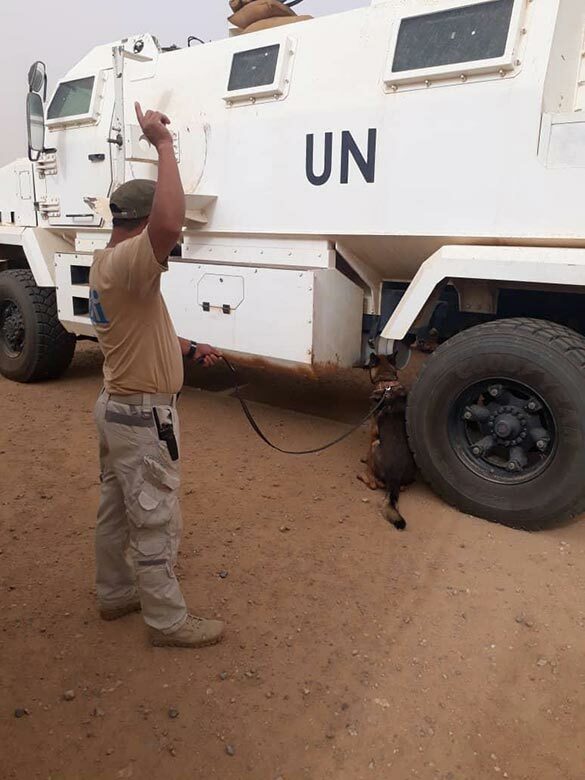 We currently have a contingent of projects in West and Central Africa where we exercise the use of mine detection and explosive detection dogs. Their primary role is to mitigate the threat of explosives and to accelerate our clearance efforts. 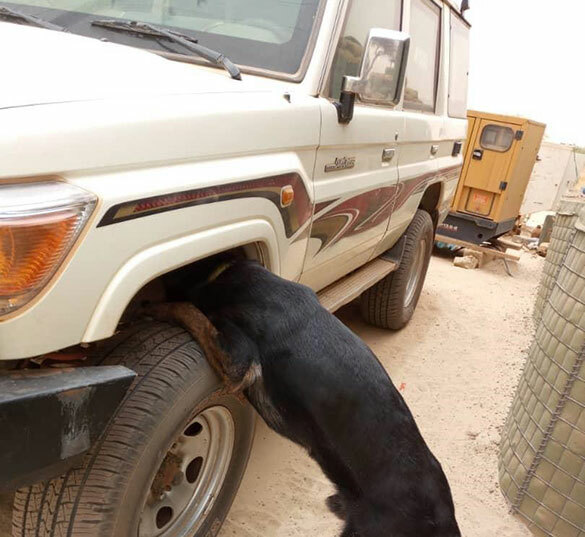 These four-legged members of our team are able to sniff out explosives, whether they are located underground or alternatively hidden within a vehicle or building. This principle is similar to the way in which dogs are used to detect weapons and drugs at airports and in other security operations. 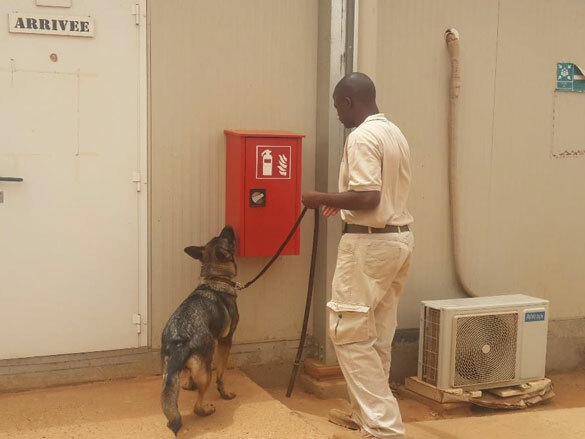 Our dogs receive rigorous training to ensure that they are fit to work and remain focused on the tasks required of them. They undergo maintenance training, stamina building and obedience exercises in between tasks. If you have ever owned a dog, you will know how they love to be rewarded. These working dogs are no different! They do however, love to work as well. After a hard day of detecting explosives, they always thoroughly enjoy receiving their kong or chew toy to play with. These loyal members of our workforce selflessly go above and beyond every day. They make the job look easy but make no mistake, they are highly intelligent working animals. Their attention to detail is unparalleled and our clearance efforts will always be that much more exhaustive because of them. The likes of Benny, Boomer and Bistro, just to name a few; will always have a place with TDI.